As roller derby evolved from a skating race to a race to score points, the one thing that had remained constant for almost 60 years was the opportunity for both teams to play offense simultaneously. This constant wasn’t an accident: The game of roller derby was designed with the prerequisite of both teams always having the chance to score on every jam, either by way of their jammer(s) or their pivot. This aspect of the game was crucial. So crucial, that derby rules over the years were written to mandate that a team always have at least one scoring threat on the track at all times. Even if penalties reduced skater manpower, those penalties would only always be served as blockers; each team was required, by rule, to always field at least one jammer, their pivot, and at least one blocker on the track before a jam could start. Long story short, it was impossible for a team to not have an offensive option at their disposal on each and every jam. Doing so guaranteed both teams had a reason and purpose to engage their opponents, either primarily on offense, primarily on defense—or as has been the case from Day Zero of roller derby, on offense and defense simultaneously. We’ll get to the defensive side of the game in a future chapter. But first, we’ll examine the offensive side of roller derby and how its game rules effectively force teams to play offense, even when it may not be in their best interest. To roller derby folk, thinking that a team is “forced” to play offense seems odd. Of course a team wants to score! But without considering the alternative—a roller derby team that doesn’t want to score, and has a good reason not to—it’s hard to understand the fundamentals behind a team wanting to. In order to help discover these fundamentals, we’re going to look at a different sport that had the problem of teams not wanting to play offense. While it may appear to have no similarities to roller derby on the surface, once you dig into the nuts and bolts of it you’ll find it’s exactly the same where it matters. The fundamentals of basketball have more in common with roller derby than you think. Like roller derby, basketball a 5-on-5 team sport invented in America…and that’s about where the obvious similarities end. But if we go deeper, we’ll find something of great use for roller derby. So let’s go back to the invention of basketball, the problem that its creators immediately faced, and the solution that changed the game for the better. In the early days of basketball, it was assumed that both teams would make an attempt to score every time they had possession of the ball. The goal of the game was to make baskets and score points. You need to have more points than your opponent to win the game. The only way to get those points was to play offense. Seems simple enough! But making a basket was very difficult. On average, less than 40% of shot attempts were successful in that era1, so it was likely that the offense would miss a shot and have the ball rebound to their opponents. Basketball was initially designed to compensate for this difficulty, giving a team as long as they needed to make an attempt at goal. Other ball-and-goal sports that existed at the time followed this model, so it only made sense at that basketball did the same. However, this system had unforeseen consequences. A team with the ball and the lead didn’t want to let the other team get the ball back, as that would give them a chance to catch up. But they didn’t want to attempt a shot, either, since it was highly probable they would miss it and give the other team an opportunity to score going the other way. Playing the percentages and wanting to go for the win, the offense didn’t engage in offense. This was good strategy—but it had the side-effect of making basketball horribly boring. The effect this had on the game in the mid-20th century is well-known to sports aficionados. Yet what many fail to realize about the dead-ball era of basketball is that part of the reason why the game was “dead” was because it was competitively unfair. Consider that the team behind on the scoreboard had every reason to play offense. Problem was, when they didn’t have the ball it was extremely difficult to dispossess the team with the ball without committing a foul. Such a foul would give the leading team free throws, almost assuring their lead would increase; if the defense repeats this “strategy” to get the ball back the next time around, they’ll eventually foul out. Talk about unfair! So the conundrum: One team had every reason to want to play offense, but couldn’t; the other team had no reason to play offense, and didn’t. The end result was that no one played offense, which was the underlying problem of slow basketball. To fix it, the basketball boffins had to devise a way to force a team to play offense even if they didn’t want to, so that the team that wanted to play offense could have the chance to. 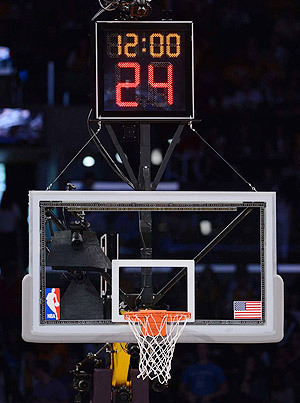 If you think about it, isn’t the NBA shot clock similar to a 24-second roller derby power jam? The solution to this problem was, of course, the shot clock, one of the greatest sports inventions ever. It made both teams play offense2 and allowed possession to naturally alternate between teams. The relatively short amount of time a team had with the ball also increased the speed of play, which helped to make the game popular again. Without the shot clock, basketball and the other sports that rely on it3 would not be what they are today. Roller derby doesn’t have a shot clock, nor has it ever needed one. But it just so happens that the reasons behind how and why the shot clock was the best solution for basketball are also the reasons behind how and why roller derby was originally designed for both teams to play offense simultaneously at all times and without exception. • Don’t play offense and take no risks, keep possession of the ball indefinitely, and guarantee the other team will not get a chance to play offense and catch up? It’s pretty clear here why the offense picked option #2. Giving up a 40% chance to increase their lead for a 100% chance for the other team to never catch up is a no-brainer. Besides being easier to do, not playing offense was a guarantee that their opponents will never get equal time opportunity to play the game, a guarantee that benefited the team (not) doing it. The shot clock did not fix this problem. Well, it did. But not exactly. The shot clock alone does not necessarily force a team to play offense. If it counted down to zero and didn’t do anything, nothing would change. Or if it expired and, let’s say, penalized the offense with a foul but let them keep the ball, it wouldn’t be completely effective in forcing a team to act. Teams would find situational ways to exploit such a system to their advantage because oftentimes the direct or indirect benefit is worth enjoying over the detriment that it may bring. Inevitably, such an exploit will find a way to become par for the course and could very well defeat the purpose of installing the shot clock in the first place. Instead, what makes the shot clock work effectively is the shot clock violation, the loss of possession to the other team should the shot clock expire without an attempt at goal. This violation is an absolute consequence that is simultaneously negative for the team with the ball and positive for the team without it. Because there is no possible desirable outcome for the violating team, and nothing but a desirable outcome for the opponent, this setup absolutely guarantees a team will do everything in its power to avoid such a consequence. The manner in which a team attempts to avoid such a consequence effectively guarantees they will have to engage their opponents to do so—even if doing so could result in a negative outcome anyway. Better said, it forces the team with the ball to play the game and engage their opponents, even if they might not want to do so. • Not play offense and let the shot clock expire, definitely lose possession of the ball, and give let the other team a chance to play offense and catch up? Now, the offense has to pick between a 40% chance of getting points and the other team getting the ball back; or a 0% chance of getting points and the other team getting the ball back. Again, the decision here is a no-brainer—but this time, the other team is guaranteed a chance to score going back the other way, regardless what the offense does or doesn’t do. Since the “play offense” option is the only one beneficial to the team with the ball, that is exactly what itwill do. And hey, presto—basketball isn’t boring anymore! Both teams are making genuine attempts to score on every possession, and they’re doing it relatively quickly. It’s fast, it’s fair, and it’s fun, all thanks to the guarantee that both team will have a (roughly) equal chance to possess the ball. Thanks, shot clock violation! Roller derby, as originally designed, has the exact same absolute consequence for failing to play offense. But a shot clock, or a shot clock violation, does not create this. Instead, the roller derby “shot clock” takes the form of the opposing team’s position players. Because game rules were made to include an iron-clad guarantee that both teams would have a jammer and/or pivot on the track at all times, there would always be the constant threat of them racing after the lead jammer at top speed on every jam. As a result of that threat, both teams are forced to act in response to it—or else. The only way to make a team act is to have them suffer the consequences if they don’t. Even with this built-in consequence, rules still need to assure that a team will play offense in roller derby, even in situations when it might possibly be advantageous for them not to do so in some way. In that case, the best way to quell that issue is to make it so it’s always disadvantageous instead. 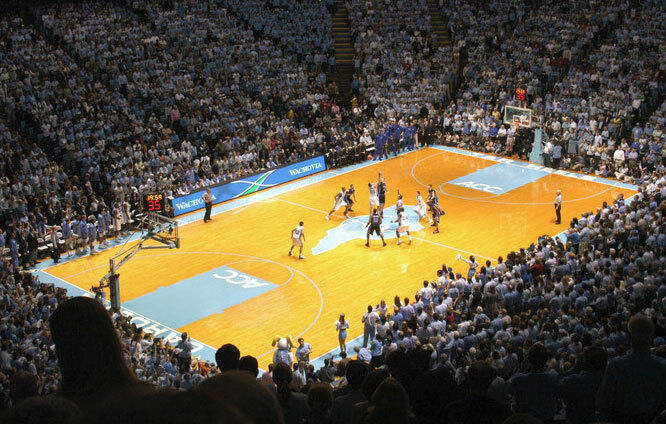 For example, think of what basketball would be like if both teams could play offense simultaneously, such as if each team had a separate ball. Then, add the provision that only the first team to score during the scoring cycle—let’s call it a 24-second jam—would get to keep their points. Under such a game, a team could theoretically not play offense, but there is no advantage whatsoever in doing so. This is because the ticking jam clock isn’t what’s forcing a team to act; it’s the consequence of what happens if they don’t act before the other team does. • Not play offense, risk letting the other team gain lead jammer, and allow the other team a chance to score on the jam? See that? It’s just like basketball with the threat of a shot clock violation. Derby rules that mandate an offensive presence at all times mean there’s nothing that can prevent a team from getting a fair chance at playing offense, even if their opponents have every reason to want to try and deny them their fair chance. The difference here is that unlike in basketball, where this threat alternates between teams with each possession, in roller derby it’s persistent and simultaneous. Giving an opponent an uncontested opportunity to catch up on the scoreboard is simultaneously bad for you and good for them. Such is the absolute consequence that makes roller derby work: If your team doesn’t try to score, the other team will—because it always has the chance to. Because both teams are guaranteed to have an equal opportunity to play offense at all times, both teams are therefore compelled to play offense at all times. If they don’t, the other team will; and hey, presto—roller derby isn’t boring! It’s fast, it’s fair, and it’s fun. Thanks, absolute consequences! Of course, roller derby is a bit more complicated than basketball, what with both teams needing to also play defense simultaneously in addition to playing offense simultaneously. If you’re forced to play offense because of the other team, you’re therefore also forced to play defense against the other team. How much and what kind of defense is a different topic, however, as the complexity of the offense-defense balance varies depending on the skill level required for the type of roller derby in question. Still, even if a superior defense stifles a team’s inferior offense in a fair game, players from both teams are forced to engage regardless to prevent the consequences of what happens when they don’t engage. In the end, that’s the key to making all sports, not just roller derby, fast, fair, and fun to watch: Engagement. The only way to guarantee that it happen is to make teams suffer absolute consequences for not doing so. In the pre-shot clock era of basketball, game strategy could be summed up with one question: Should our team engage the opponents? The answer to that question was sometimes good for the game…but mostly bad for it, and basketball suffered as a result. But after the introduction of the shot clock and the violation that made it work, game strategy was forced to evolve into a new question: How will our team engage our opponents? The answer to this question was always good for basketball on the whole and turned it into the compelling game that spectators have come back to for more than half a century. How to engage is the very question roller derby players face when both teams have jammers on the track. How will we help our jammer and hinder their jammer? As Leo Seltzer devised the game originally, not asking this question was unthinkable, since not wanting to do it would bring absolute consequences that neither team wanted to face. As a result of this, game strategies were tuned to make (almost) absolutely sure that they never had to face them. Should we help our jammer? is the last thing you’d expect a roller derby team to ask themselves. However, when a game designed to always have a natural “engage, or else” mechanism built into it, suddenly loses it when both teams do not have a jammer on track at all times, huge problems can occur. And unless properly compensated for, roller derby runs the risk of becoming, at times, just as boring as basketball before the shot clock. 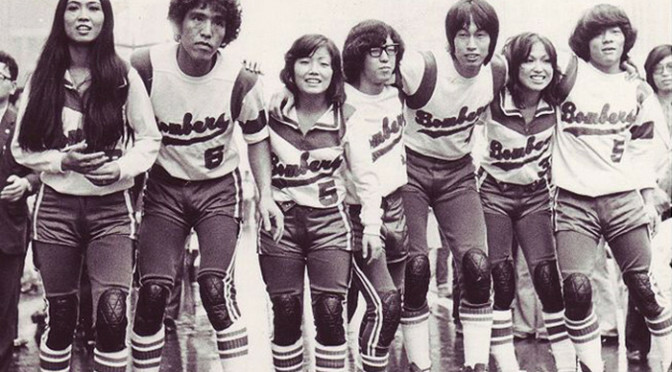 So you can imagine the task facing Hiroshi Koizumi in the late 1980s as he tried to invent a variant of roller derby that had one jammer on the track at all times. Luckily for us, he properly compensated for it. In the pre-shot clock era of basketball, field goal percentage was around 37%. In the modern NBA, it’s about 45%. Today’s shooters still miss more shots than they make, but considering how advanced defenses have become and how the shot clock forces teams to take bad shots that they wouldn’t have taken in the pre-shot clock era, it’s actually a much more remarkable conversion rate. This is another overlooked aspect of the shot clock: It really only forces one team to act. The team that’s behind on the scoreboard isn’t going to not want to score. If you only put the shot clock on the team with a decent lead, and not on the team trailing, basketball would still work, wouldn’t it? The ease of dispossessing someone and the need for a shot clock go hand-in-hand. It is difficult to legally take possession away from someone attempting to stall in lacrosse and water polo, for example, which is why those sports require shot clocks to force action on a team that would otherwise not want to. In soccer and hockey, taking the ball/puck away from someone attempting to stall is much more realistic, which is why they have no need for a shot clock. In those sports, if a team chooses not to act, the other team can physically—and legally—force them to. This assumes lead status in roller derby can change based on which jammer (or pivot) is the foremost player on the track, as is the case with virtually all roller derby rule sets, past and present. This facet is also of critical importance to the roller derby and will be discussed in detail in Part 6 of this series.